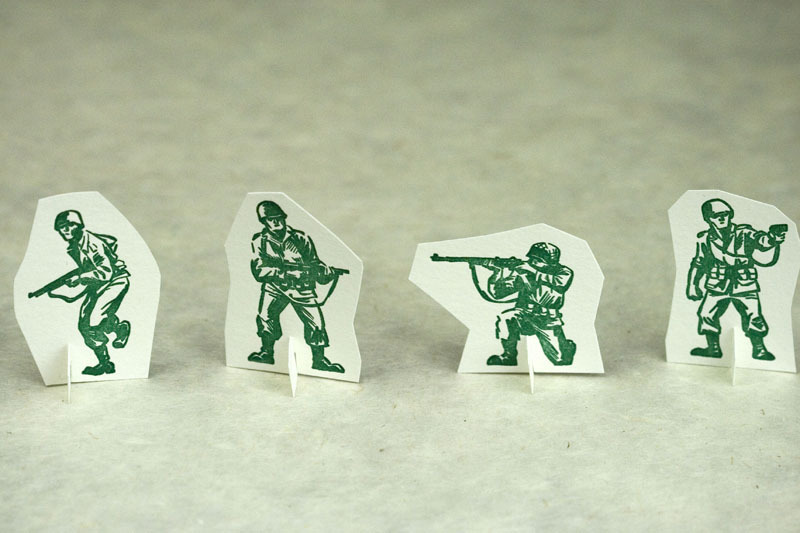 We’ve been so busy prepping for the National Stationery Show lately that we forgot to blog about these little guys. 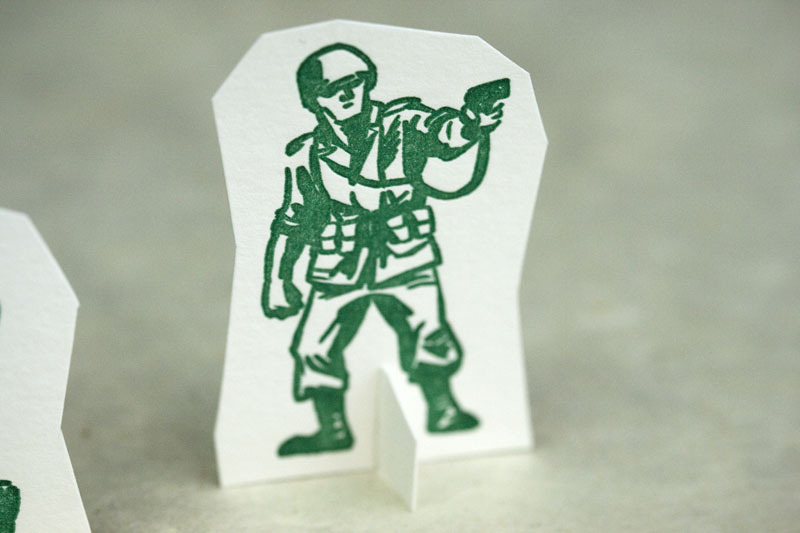 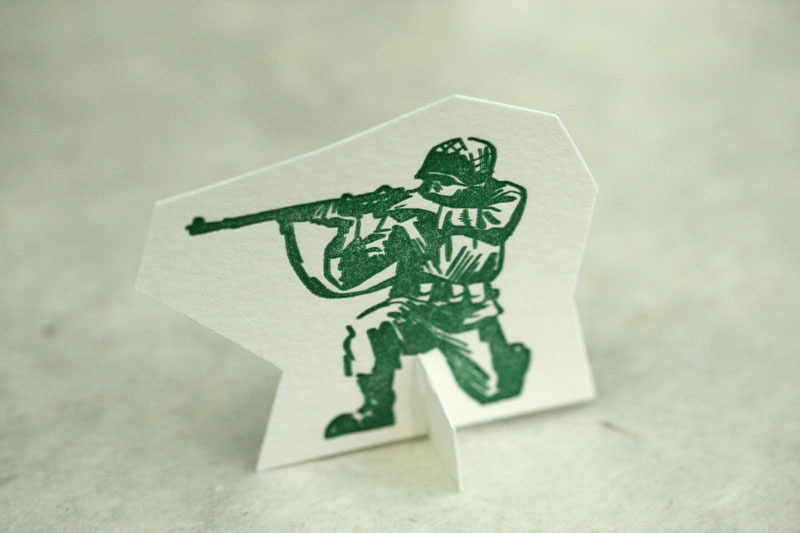 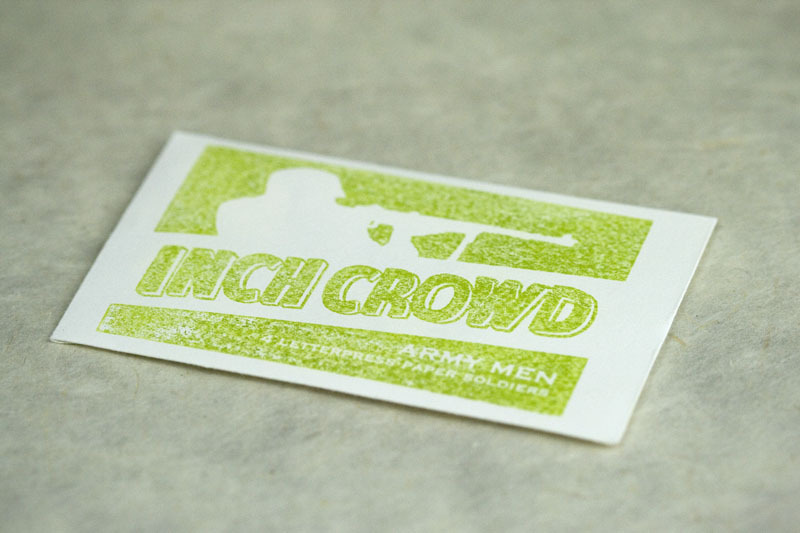 Illustrated by our friends at Sorry You’re Happy and letterpress printed by us on bamboo paper stock, these are based on the little green soldiers that boys used to play with. 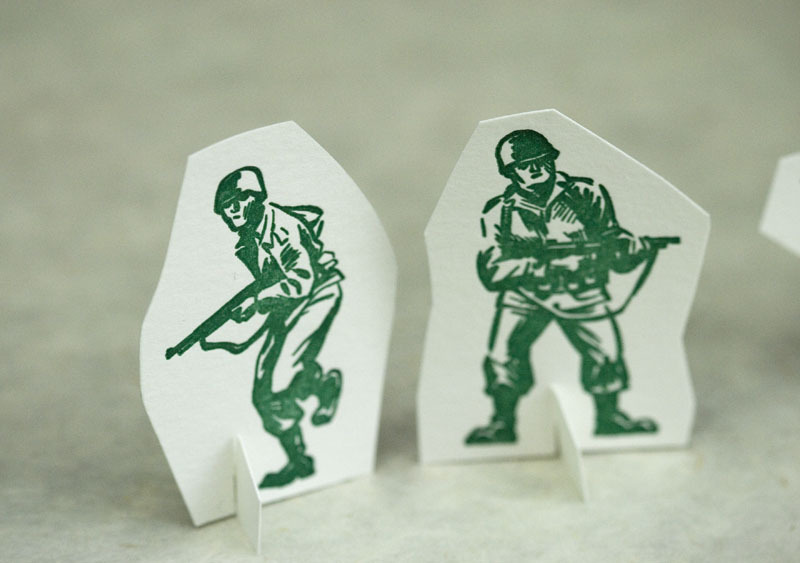 How fun are they?